Cette position servira aussi au Tournoi Thématique du mois de décembre 2006. Cette Division joue Le Tournoi Thématique du mois de décembre 2006 à partir de cette position. Aristarch 4.50 remporte ce tournoi devant Zappa 1.1. Ufim 8.02 accumule les victoires dans les tournois ce mois-ci. Pepito v1.59 s'impose devant Booot 4.12.1 mais avec un score négatif par rapport à ce dernier. 8...Dxb2 est la seule variante jouée. Gaia 3.5 gagne ce tournoi avec une confortable avance sur Twisted Logic 0.065e37, mais ce dernier perd quelques parties au temps en générant une erreur! Tous la modules jouent 8...Dxb2. Chispa 4.0.3 est le seul module à ne pas jouer 8...Dxb2. Delphil 1.6c est à l'aise dans cette Sicilienne, Aice 0.99.2 nettement moins. Les deux invités se suivent dans le classement, mais Tornado 1.0 Mainz avait réalisé un très bon début de tournoi. 8...Dc7 9.Fxf6 gxf6 10.0-0-0 b5 11.Rb1 b4 12.Cce2 Fb7 13.Tg1 Cd7 14.Cb3 Fe7 15.g4 a5 16.Ced4 a4 1-0(79) Arion 1.7 -- Chispa 4.0.3 ; 13.Cg3 Cd7 14.f5 e5 15.Cf3 Cc5 16.Dc4 a5 1-0(38) Anechka 0.08 -- Chispa 4.0.3 ; 11.f5 b4 12.Cb1 e5 13.Cb3 a5 14.De3 Tg8 15.a3 Cd7 16.axb4 axb4 0-1(55) Tornado 1.0 Mainz -- Chispa 4.0.3 ; 11.a3 Cd7 12.Fe2 Fh6 13.Dg3 d5 14.Thf1 dxe4 15.Dh4 Fg7 16.Cxe4 Fb7 1-0(40) Queen 3.09 -- Chispa 4.0.3 ; 10.Fe2 b5 11.b4 Cd7 12.0-0 Fb7 13.Tab1 Tc8 14.Tb3 Cb6 15.Dg3 d5 16.Fh5 Dd7 =-=(168) Hermann 1.9 -- Chispa 4.0.3 ; 11.0-0 Cd7 12.b4 Fb7 13.Fh5 Tc8 14.Tf3 e5 15.Ce6 Dc6 16.a4 bxa4 0-1(38) Aice 0.99.2 -- Chispa 4.0.3 ; 9.0-0-0 Fe7 10.Cb3 b5 11.Fxf6 gxf6 12.Dg3 b4 13.Dg7 Tf8 14.Ce2 Fb7 15.Dxh7 Cd7 16.Cg3 d5 0-1(104) Ayito 0.2.994 -- Chispa 4.0.3 ; 10.Fe2 Cbd7 11.Dg3 h6 12.Fh4 0-0 13.Ff3 Te8 14.Thf1 Dd8 15.Tfe1 Cd5 16.Fxe7 Cxe7 0-1(41) LittleThought 0.98 -- Chispa 4.0.3 ; 9...b5 10.Fe2 b4 11.Cb1 Fe7 12.Fxf6 Fxf6 13.Cf3 Fe7 14.e5 dxe5 15.Cxe5 0-0 16.Ff3 Ta7 1-0(34) Delphil 1.6c -- Chispa 4.0.3 ; 9.Df3 Fe7 10.0-0-0 0-0 11.Fe2 b5 12.e5 dxe5 13.Cdxb5 Db7 14.fxe5 Cd5 15.Fxe7 Dxe7 16.Cxd5 exd5 1-0(39) Muse 0.899b -- Chispa 4.0.3 ; 9.Fe2 b5 10.0-0 Fb7 11.Ff3 Cbd7 12.a4 Cc5 13.De3 b4 14.Ca2 Cfxe4 15.Cxb4 d5 16.Fh4 Fd6 0-1(59) Patzer 3.80 -- Chispa 4.0.3 . 9...Cfd7 10.Tb1 Da3 11.Dd2 f6 12.Fh4 b5 13.Fe2 b4 14.Cd1 Fe7 15.Fg4 Cc5 16.e5 dxe5 0-1(41) Chispa 4.0.3 -- Hermann 1.9 ; 13...Fe7 14.Ff2 Cc6 15.Fg4 b4 16.Cd1 Cc5 0-1(33) Chispa 4.0.3 -- Patzer 3.80 ; 12...Cc6 13.Fe2 Fe7 14.Fg4 Cb6 15.De3 Ca4 16.Cxa4 Dxa4 =-=(100) Chispa 4.0.3 -- Anechka 0.08 ; 11...Cc6 12.Td1 f6 13.Fh4 Fe7 14.Fe2 0-0 15.Tb1 b5 16.Cd5 Fd8 1-0(30) Chispa 4.0.3 -- Arion 1.7 . 9...Da3 10.Fe2 Cc6 11.0-0 Fe7 12.Ff3 h6 13.Fh4 e5 14.Fxf6 Fxf6 15.Cd5 Fd8 16.Dd2 Fe6 0-1(58) Chispa 4.0.3 -- Ayito 0.2.994 . 11...b5 12.e5 Cg4 13.f5 dxe5 14.Dxg4 Fb4 15.Fd2 0-0 16.fxe6 Cc5 =-=(43) Chispa 4.0.3 -- Tornado 1.0 Mainz . 11...Fe7 12.Fe2 h6 13.Fh4 e5 14.Dc4 exf4 15.0-0 Ce5 16.Dd4 0-0 =-=(58) Chispa 4.0.3 -- Aice 0.99.2 . 12...Fe7 13.Fd3 h6 14.Fh4 Cxe4 15.Fxe4 Fxh4+ 16.g3 Fd8 0-1(44) Chispa 4.0.3 -- Queen 3.09 . 14...exf4 15.0-0 g5 16.Tfe1 Fg7 =-=(79) Chispa 4.0.3 -- LittleThought 0.98 . 16.exd5 f5 1-0(45) Chispa 4.0.3 -- Muse 0.899b ; 0-1(41) Chispa 4.0.3 -- Delphil 1.6c . 10...exf5 11.exf5 Dc5 12.Fe2 Fe7 13.Fe3 Cd5 14.Cxd5 Dxd5 15.0-0 Da5 16.Ff3 Dc7 1-0(21) Gaia 3.5 -- Diablo 0.5.1 . 10...b5 11.Fe2 e5 12.Cb3 Fb7 13.Fc1 Db4 14.a3 Dc4 15.Dxc4 bxc4 16.Cd2 Fc6 1-0(68) Gaia 3.5 -- Abrok 5.0 . 10...Dc5 11.Fe2 Fe7 12.Fe3 Dc7 13.0-0 0-0 14.fxe6 fxe6 15.Dc4 Dd7 16.Db3 Rh8 1-0(44) List 5.12 -- Aristarch 4.50 . 10...Cc6 11.fxe6 fxe6 12.Cxc6 bxc6 13.Fe2 Fe7 14.0-0 Da5 15.Fd2 Dc7 16.Dg3 0-0 0-1(45) LittleThought 0.98 -- Delphil 1.6c . 10...Cbd7 11.fxe6 fxe6 12.Cxe6 Da5 13.Dc4 Ce5 14.Dc7 b6 15.Txb6 Fxe6 16.Tb8+ Txb8 1-0(46) LittleThought 0.98 -- Tornado 1.0 Mainz . 11.Fe2 e5 12.Cb3 0-0 13.0-0 Cc6 14.Fc1 Db4 15.Fe3 Da3 16.Fc1 Db4 =-= Little Goliath Evolution -- Ktulu 4.2 ; 13.Cd2 Cc6 14.Fxf6 gxf6 15.Dg3+ Rh8 16.Cd5 Dxg3+ 1-0(61) Yace Paderborn -- Ktulu 4.2 ; 12...Cbd7 13.0-0 0-0 14.Fc1 Db4 15.Fe3 Da3 16.Fc1 Db4 =-= Little Goliath Evolution -- AnMon 5.60 ; 13.Fc1 Db4 14.Fd2 Fd8 15.a3 Db6 16.g4 h6 1-0(36) Yace Paderborn -- AnMon 5.60 ; 12...Cc6 13.0-0 Tb8 14.Fc1 Db4 15.Fe3 b5 16.Cd4 exd4 =-=(109) Gaia 3.5 -- Dragon 4.6 . 11...0-0 12.fxe6 fxe6 13.Fc1 Da5 14.Cxe6 b5 15.Db3 Fxe6 16.Dxe6+ Rh8 0-1(32) LittleThought 0.98 -- Arion 1.7 ; 0-1(28) List 5.12 -- Colossus 2006f ; 0-1(53) LittleThought 0.98 -- Aice 0.99.2 . 11...Rd8 12.Td1 b5 13.Cdxb5 axb5 14.Cxb5 Da5+ 15.Fd2 Db6 16.e5 Cd5 0-1(57) LittleThought 0.98 -- Anechka 0.08 . 12.Ca4 Dxc4 13.Fxc4 Cxe4 14.Fxe7 Rxe7 15.fxe6 fxe6 16.Cb6 Ta7 1-0(52) LittleThought 0.98 -- Hermann 1.9 ; =-=(156) LittleThought 0.98 -- Muse 0.899b . 16.Cb6 Ta7 =-=(71) List 5.12 -- Ruffian 1.0.5 ; =-=(65) List 5.12 -- SOS 5.1 . 11.Fxf6 gxf6 12.Cb3 Cc6 13.Cd5 Cb4 14.Cxf6+ Re7 15.Cd5+ Rd8 16.Dc4 Cxd5 0-1(53) Gaia 3.5 -- Twisted Logic 0.065e37 ; 14...Rd8 15.Dd2 Dxa2 16.Tc1 a5 1-0(30) Gaia 3.5 -- Alfil 6.10 ; 12...Fg7 13.Cd2 b5 14.Dd5 Ta7 15.Fxb5+ axb5 16.Cxb5 De3+ 1-0(82) Gaia 3.5 -- Terra 3.4 ; 13...0-0 14.Cc4 Dc5 15.Ca4 Dc6 16.Cab6 Ta7 =-=(29) Gaia 3.5 -- Sjeng 12.13 . 11.Cb3 Fe7 12.Fe2 0-0 13.0-0 Cbd7 14.Fc1 Db4 15.Fe3 Da3 16.Fc1 Db4 =-= Little Goliath Evolution -- Ufim 8.02 ; 12...Cbd7 13.0-0 0-0 14.Fc1 Db4 15.Fe3 d5 16.Cxd5 Cxd5 =-=(85) Little Goliath Evolution -- Yace Paderborn ; 11...Cc6 12.Fc1 Db4 13.a3 Db6 14.Fe3 Dd8 15.Fe2 Fe7 16.0-0 0-0 1-0(48) Little Goliath Evolution -- Tao 5.6 . 11...Dc5 12.Fxf6 gxf6 13.Dxc5 dxc5 14.Cd5 Rd8 15.Cb3 Cd7 16.Td1 Fd6 0-1(29) LittleThought 0.98 -- Patzer 3.80 . 11...Fd7 12.Fxf6 gxf6 13.Cd5 b5 14.Dc7 exd4 15.Cxf6+ Re7 16.Cd5+ =-= LittleThought 0.98 -- Ayito 0.2.994 . 14...Cb6 15.De4 f6 16.Fd2 Fe7 =-=(52) Yace Paderborn -- Little Goliath Evolution ; 15.Dc7 Dd6 16.Dxd6 Fxd6 =-=(42) LittleThought 0.98 -- Queen 3.09 . 14...b5 15.Dc7 f6 16.Dc6 fxg5 0-1(25) Yace Paderborn -- Tao 5.6 . 15.Fc1 Dd6 16.Fb2 b5 =-=(59) List 5.12 -- Zappa 1.1 . 16.Dd3 b5 0-1(36) Yace Paderborn -- Ufim 8.02 . 11...Dc5 12.Ca4 Da5+ 13.Cc3 Dc5 14.Ca4 Da5+ 15.Cc3 Dc5 =-= Dragon 4.6 -- Twisted Logic 0.065e37 ; =-= Pepito v1.59 -- Booot 4.12.1 ; 13...Fg7 14.f5 0-0 15.0-0 Cc6 16.Cxc6 bxc6 0-1(39) Dragon 4.6 -- Diablo 0.5.1 ; 14.Cb3 Dc7 15.Cd1 d5 16.0-0 dxe4 0-1(53) Hermann 1.9 -- Anechka 0.08 ; 13.Dc3 Dxc3+ 14.Cxc3 Fg7 15.0-0 f5 16.Tfd1 Cc6 0-1(41) Ayito 0.2.994 -- Anechka 0.08 ; =-= Arasan 9.5 -- Booot 4.12.1 . 11...e5 12.Cd5 Da5+ 13.Rf1 Cd7 14.Cb3 Dd8 15.Dc4 Cb6 16.Cc7+ Re7 =-=(95) Anechka 0.08 -- Queen 3.09 ; 13...Rd8 14.Cb6 Dxa2 15.Rf2 Ta7 16.Cb3 Fe6 1-0(28) Arion 1.7 -- Queen 3.09 ; 13.Dd2 Dxd2+ 14.Rxd2 Rd8 15.Cf5 Cd7 16.Ff3 Tb8 0-1(57) Ayito 0.2.994 -- Queen 3.09 ; 12.Dc4 Rd8 13.Cd5 Da5+ 14.Rf2 Cd7 15.Cb3 Da3 16.f5 Fe7 1-0(65) Aice 0.99.2 -- Queen 3.09 . 13.Dd2 b5 14.Tf3 Dc5 15.Te3 Cb6 16.Cb3 Cc4 0-1(44) Hermann 1.9 -- Patzer 3.80 ; 13...Cc5 14.Tbd1 e5 15.Cd5 Rd8 16.Cxf6 Txg2+ 1-0(34) Hermann 1.9 -- LittleThought 0.98 . 13.Tfd1 Fh6 14.f5 e5 15.Cb3 Ff8 16.Cd5 Tb8 1-0(31) Arion 1.7 -- LittleThought 0.98 . 13.Cb3 b5 14.Fh5 Cc5 15.Dd4 Cxb3 16.axb3 Dc5 0-1(61) Arion 1.7 -- Patzer 3.80 . 13.Rh1 Cc5 14.Dd2 Fd7 15.Fh5 b5 16.f5 Tg5 1-0(106) Queen 3.09 -- LittleThought 0.98 . 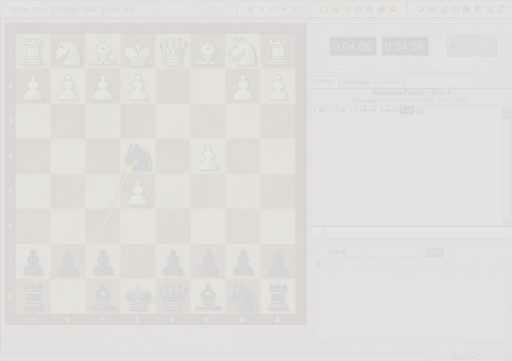 14...b5 15.Tf2 Cb6 16.Dd3 b4 0-1(60) Anechka 0.08 -- Patzer 3.80 . 14...Cb6 15.Tf3 Cc4 16.Fxc4 Dxc4 0-1(43) Ayito 0.2.994 -- Patzer 3.80 . 15.Rh1 Fxf4 16.Txf4 e5 0-1(65) Anechka 0.08 -- LittleThought 0.98 . 16.Cb2 d5 =-=(110) Ayito 0.2.994 -- LittleThought 0.98 . 13.Dd4 Tg8 14.0-0 d5 15.Rh1 Dc5 16.Dd3 Tg7 1-0(84) Hermann 1.9 -- Ayito 0.2.994 . 14.Tb3 Dc5+ 15.Rh1 Fe7 16.Ca4 dxe4 1-0(90) Queen 3.09 -- Ayito 0.2.994 ; 0-1(68) Arion 1.7 -- Ayito 0.2.994 . 14.Rh1 Fb4 15.Tb3 Da5 16.e5 f5 =-=(37) Booot 4.12.1 -- Snitch 1.6.2 ; 16.Dg3 Fxc3 1-0(64) Pepito v1.59 -- Snitch 1.6.2 . 14...cxd5 15.f5 Fe7 16.Rh1 Dd6 0-1(29) Aice 0.99.2 -- LittleThought 0.98 ; 16...Fd7 0-1(51) Arasan 9.5 -- Snitch 1.6.2 ; 16.fxe6 fxe6 0-1(67) Delphil 1.6c -- LittleThought 0.98 . 15.Rh1 Fc5 16.Tb3 Da5 0-1(39) Aice 0.99.2 -- Ayito 0.2.994 . 16.Rh1 Da5 0-1(69) Delphil 1.6c -- Ayito 0.2.994 ; 0-1(40) Anechka 0.08 -- Ayito 0.2.994 . 12...Dc5 13.Tf2 Fg7 14.Cb3 Dc7 15.f5 0-0 16.fxe6 fxe6 0-1(45) Dragon 4.6 -- Sjeng 12.13 . 13.Tb3 Da5 14.De3 Fb7 15.Tfb1 e5 16.Cdxb5 exf4 1-0(25) Queen 3.09 -- Tornado 1.0 Mainz ; 1-0(35) Hermann 1.9 -- Tornado 1.0 Mainz ; 15.Ff3 Fe7 16.Tfb1 Cc5 0-1(74) Arion 1.7 -- Tornado 1.0 Mainz ; 13...Dc5 14.Rh1 Fg7 15.a4 f5 16.Td1 b4 =-=(58) Delphil 1.6c -- Queen 3.09 . 13.Tf3 Dc5 14.Tf2 Fb7 15.a4 Tc8 16.Tb3 Fg7 1-0(44) Hermann 1.9 -- Queen 3.09 ; 14.Rh1 Fe7 15.Th3 Fb7 16.Fh5 0-0 1-0(19) Ayito 0.2.994 -- Tornado 1.0 Mainz . 13.De3 h5 14.Ff3 Fb7 15.Tb3 Dc5 16.Td1 Fg7 0-1(56) Anechka 0.08 -- Tornado 1.0 Mainz . 13.Dd2 Fb7 14.Tb3 Dc5 15.Rh1 Fg7 16.Td1 0-0 1-0(49) Delphil 1.6c -- Tornado 1.0 Mainz . 13...Ce5 14.Dg3 Dc5 15.Tbd1 Cc6 16.Cxb5 axb5 0-1(49) Aice 0.99.2 -- Patzer 3.80 ; 1-0(88) Aice 0.99.2 -- Tornado 1.0 Mainz . 16.Tfd1 Tg8 0-1(40) Colossus 2006f -- Zappa 1.1 . 16.Rh1 Tg8 1-0(41) Dragon 4.6 -- Abrok 5.0 . 12.Ff3 Fh6 13.g3 Tg8 14.Cde2 Ta7 15.e5 dxe5 16.De3 Ta8 1-0(48) Aice 0.99.2 -- Hermann 1.9 ; 13...0-0 14.0-0 Cd7 15.Cb3 Te8 16.Tfd1 Ff8 0-1(51) Aice 0.99.2 -- Anechka 0.08 ; 12...0-0 13.0-0 Cd7 14.Cde2 Td8 15.Tfd1 Cc5 16.De3 e5 0-1(54) Aice 0.99.2 -- Arion 1.7 ; 12...Cd7 13.0-0 Cc5 14.De3 0-0 15.Cde2 Fd7 16.Tfd1 Fc6 0-1(56) Colossus 2006f -- Ruffian 1.0.5 . 12.Td1 f5 13.0-0 Cc6 14.Cxc6 bxc6 15.Tf3 fxe4 16.Cxe4 Dxd3 0-1(56) Arion 1.7 -- Hermann 1.9 . 12.Dd2 0-0 13.Tb3 Da5 14.f5 e5 15.Cf3 Cd7 16.0-0 Cc5 =-=(155) Ufim 8.02 -- Tao 5.6 . 12.Dc4 Dc5 13.Dxc5 dxc5 14.Cb3 Cd7 15.0-0 f5 16.Tf3 Fd4+ =-=(50) Ayito 0.2.994 -- Hermann 1.9 . 12.Rf2 f5 13.Thd1 Cc6 14.Cxc6 bxc6 15.Ca4 Dxd3 16.Fxd3 Fd4+ 0-1(63) Ayito 0.2.994 -- Arion 1.7 . 12...Cd7 13.De3 Dc5 14.Ca4 Da7 15.Cc3 f5 16.Tfd1 0-0 0-1(83) Dragon 4.6 -- Gaia 3.5 ; 13...0-0 14.Tfd1 Dc5 15.Ca4 Da5 16.Cc3 Dc7 0-1(51) Dragon 4.6 -- Terra 3.4 . 12...b5 13.Tb3 Dc5 14.Cxb5 0-0 15.Ta3 e5 16.Rh1 exd4 =-=(167) Ufim 8.02 -- Ktulu 4.2 . 12...Da5 13.Cb3 Dc7 14.Tf3 0-0 15.Th3 h6 16.Td1 Td8 1-0(30) Arasan 9.5 -- Nejmet 3.07 . 13.Tfd1 Cc6 14.Cxc6 Fxc3 15.De3 bxc6 16.Tb3 Dc5 0-1(86) Arasan 9.5 -- Amyan 1.597 . 13...fxe4 14.Cxe4 d5 15.Dg3 Rf8 16.Dh4 Cc6 1-0(30) Delphil 1.6c -- Hermann 1.9 . 16.Cg3 Cd7 1-0(60) Delphil 1.6c -- Anechka 0.08 ; 1-0(73) Delphil 1.6c -- Arion 1.7 . 12...e5 13.Cb3 Cc6 14.0-0 0-0 15.Tbd1 Td8 16.Cd5 b5 =-=(50) Anechka 0.08 -- Arion 1.7 ; 15.Cd5 Cb4 16.Ce7+ Rh8 =-=(47) Hermann 1.9 -- Arion 1.7 ; 14.Td1 0-0 15.Dxd6 Db4 16.Dxb4 Cxb4 1-0(103) Queen 3.09 -- Arion 1.7 . 12...Cc6 13.Cxc6 bxc6 14.0-0 d5 15.De3 Ff8 16.Rh1 Dc5 1-0(69) Pepito v1.59 -- Amyan 1.597 ; 15.Rh1 Dd6 16.Ca4 Tb8 1-0(90) Booot 4.12.1 -- Amyan 1.597 ; 14...0-0 15.Dc4 Fd7 16.Tb7 d5 0-1(67) AnMon 5.60 -- Tao 5.6 . 12...Dc5 13.fxe6 fxe6 14.Txb7 0-0 15.Cb3 De5 16.Tb6 f5 0-1(45) AnMon 5.60 -- Ktulu 4.2 . 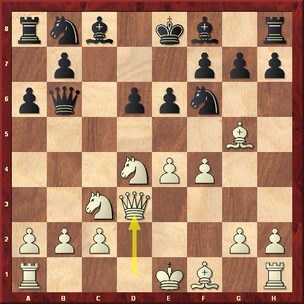 13...b5 14.Cd5 Dxd3 15.Ce7+ Rh8 16.cxd3 Fd7 0-1(45) Queen 3.09 -- Hermann 1.9 . 14.Cb3 De5 15.Cd4 Cd7 16.Tbd1 Cc5 1-0(29) Queen 3.09 -- Anechka 0.08 . 16.Cb3 Db6+ 1-0(45) Booot 4.12.1 -- Nejmet 3.07 . 15...b5 16.Tb3 Db6 1-0(52) Pepito v1.59 -- Nejmet 3.07 . 15...Cc6 16.Cxc6 bxc6 0-1(52) Arion 1.7 -- Anechka 0.08 . 12...Fg7 13.Cb3 0-0 14.Tbd1 f5 15.exf5 exf5 16.Cd5 Cf6 1-0(44) Delphil 1.6c -- Aice 0.99.2 ; 1-0(51) Anechka 0.08 -- Aice 0.99.2 ; 1-0(65) Hermann 1.9 -- Aice 0.99.2 ; 0-1(70) Arion 1.7 -- Aice 0.99.2 ; 13.f5 Ce5 14.Dg3 0-0 15.Tfd1 b5 16.Rh1 b4 =-=(45) Queen 3.09 -- Aice 0.99.2 ; 13.Dg3 0-0 14.Tf3 Dc5 15.Df2 b5 16.Tg3 Rh8 1-0(34) Ayito 0.2.994 -- Aice 0.99.2 . 12...Dc5 13.Ca4 Da7 14.Rh1 b5 15.Cc3 h5 16.Tfd1 Dc5 =-=(79) Colossus 2006f -- SOS 5.1 ; 15...Cc5 16.Df3 Fg7 1-0(52) Booot 4.12.1 -- Pepito v1.59 ; 13.Rh1 h5 14.a4 b6 15.Cb3 Dc7 16.Cd2 h4 1-0(37) Colossus 2006f -- List 5.12 ; 13...Fg7 14.Cb3 Dc7 15.Tf3 b5 16.Td1 b4 0-1(53) Arasan 9.5 -- Pepito v1.59 . 12...Tg8 13.Tfd1 Cc5 14.Dd2 Fe7 15.Fh5 Fd7 16.f5 Tg5 0-1(63) Ufim 8.02 -- AnMon 5.60 . 13.Df3 Fe7 14.Dg3 Tf8 15.Tbd1 e5 16.Cb3 exf4 0-1(42) Ayito 0.2.994 -- Delphil 1.6c . 13...Fd7 14.e5 dxe5 15.fxe5 f5 16.Fh5 Fh6 =-=(23) Dragon 4.6 -- Alfil 6.10 . 14.Tf3 Da5 15.Tf2 h4 16.De3 Fe7 0-1(56) Hermann 1.9 -- Delphil 1.6c ; 15.Rh1 h4 16.Dg4 b5 1-0(34) Anechka 0.08 -- Delphil 1.6c . 14.De1 Fd7 15.Tf3 Da5 16.Dh4 Fe7 0-1(53) Arion 1.7 -- Delphil 1.6c . 16.Tf3 e5 0-1(53) Aice 0.99.2 -- Delphil 1.6c . 16.Cb3 Fd7 0-1(59) Queen 3.09 -- Delphil 1.6c . 13.Tb3 Dc5 14.Rh1 Tg8 15.a4 b4 16.Ca2 a5 1-0(42) Queen 3.09 -- Patzer 3.80 ; 1-0(31) Delphil 1.6c -- Patzer 3.80 ; 14...Fb7 15.f5 e5 16.Cf3 Fc6 0-1(56) Queen 3.09 -- Muse 0.899b ; 15.a4 Dc8 16.axb5 Cc5 1-0(41) Delphil 1.6c -- Muse 0.899b . 13.De3 Cc5 14.Fh5 b4 15.Cd1 Dxe3+ 16.Cxe3 Cxe4 1-0(54) Arion 1.7 -- Muse 0.899b ; 14.Ff3 b4 15.Cd1 Dxe3+ 16.Cxe3 a5 1-0(78) Ayito 0.2.994 -- Muse 0.899b ; 14.Fd3 Fb7 15.Cb3 Tc8 16.Ta1 f5 0-1(57) Anechka 0.08 -- Muse 0.899b . 13.Tf3 b4 14.Dc4 bxc3 15.Dc6 Dc5 16.Dxa8 Dxd4+ 1-0(65) Hermann 1.9 -- Muse 0.899b ; 14...Da5 15.Te3 Dc5 16.Dxb4 Tg8 1-0(58) AnMon 5.60 -- Yace Paderborn . 13.Dd2 Tg8 14.Tf3 Dc5 15.Te3 Fh6 16.Tf1 Fb7 1-0(59) Ufim 8.02 -- Yace Paderborn ; 13...Fb7 14.Tf3 Dc5 15.Te3 Fh6 16.g3 e5 1-0(41) Ufim 8.02 -- Little Goliath Evolution . 13.Cd1 Dxd3 14.cxd3 d5 15.Cf2 Fc5 16.Cb3 Fe3 =-=(116) AnMon 5.60 -- Ufim 8.02 . 13...Ce5 14.Dg3 Dc5 15.Tbd1 Cc6 16.Cxb5 axb5 =-=(29) Aice 0.99.2 -- Muse 0.899b ; 14.De3 Dc5 15.Tb3 Fg7 16.Cd1 0-0 0-1(37) Booot 4.12.1 -- Arasan 9.5 . 13...e5 14.Cb3 Fb7 15.Cd5 Tc8 16.Tfc1 Fg7 0-1(42) Pepito v1.59 -- Arasan 9.5 . 16.Cb3 Dc7 0-1(75) Colossus 2006f -- Aristarch 4.50 . 15...Fg7 16.a4 Cc4 =-=(20) AnMon 5.60 -- Little Goliath Evolution . 10...e5 11.Fxf6 gxf6 12.Cd5 Da5+ 13.Rf2 exd4 14.Cb6 Cc6 15.Cxa8 b5 16.a4 b4 0-1(45) Muse 0.899b -- Ayito 0.2.994 ; 13...Dc5 14.Dc4 Dxc4 15.Fxc4 Rd8 16.Cb6 Ta7 =-=(53) Alfil 6.10 -- Terra 3.4 ; 13.Dd2 Dxd2+ 14.Rxd2 Ta7 15.Cxf6+ Rd8 16.fxe5 dxe5 1-0(114) Tornado 1.0 Mainz -- Ayito 0.2.994 ; 12.Cb3 Fg7 13.0-0 0-0 14.Dg3 Cd7 15.Cd5 Rh8 16.Cc7 Tb8 =-=(37) Patzer 3.80 -- Ayito 0.2.994 . 10...Cfd7 11.0-0 b5 12.Ccxb5 Dc5 13.Tb3 axb5 14.Tc3 f6 15.Fh4 e5 16.Txc5 Cxc5 0-1(44) Patzer 3.80 -- Tornado 1.0 Mainz ; 0-1(80) Muse 0.899b -- Tornado 1.0 Mainz ; 11...Cc5 12.Dd2 h6 13.Fh4 Tg8 14.f5 g5 15.fxg6 Txg6 16.Fh5 Cbd7 1-0(19) Patzer 3.80 -- Queen 3.09 ; 12...f6 13.Fh5+ Rd7 14.f5 exf5 15.Cxf5 Cc6 16.Tfd1 Ce6 1-0(25) Muse 0.899b -- Queen 3.09 . 10...Da5 11.Fxf6 gxf6 12.0-0 Fg7 13.Cb3 Dc7 14.Dg3 0-0 15.f5 Cc6 16.Rh1 Ce5 0-1(64) Diablo 0.5.1 -- Terra 3.4 . 11.Fxf6 gxf6 12.Ca4 Da5+ 13.Dc3 Dxc3+ 14.Cxc3 Fg7 15.f5 0-0 16.0-0 b5 0-1(69) Abrok 5.0 -- Terra 3.4 . 11.Fh4 Fe7 12.Ff2 Dc7 13.0-0 Cbd7 14.De3 Cc5 15.e5 dxe5 16.fxe5 Cfd7 1-0(45) Zappa 1.1 -- SOS 5.1 . 11...Dc7 12.0-0 Fe7 13.Dg3 h6 14.Fh4 Cbd7 15.f5 0-0 16.Dh3 Ce5 0-1(51) Patzer 3.80 -- Muse 0.899b ; 12.Fxf6 gxf6 13.f5 Tg8 14.0-0 Fe7 15.fxe6 fxe6 16.e5 dxe5 0-1(44) Tornado 1.0 Mainz -- Muse 0.899b . 12.Td1 Cc6 13.Dg3 Fe7 14.e5 dxe5 15.fxe5 Cd5 16.Fxe7 Ccxe7 =-=(34) Ruffian 1.0.5 -- SOS 5.1 . 14.Fe3 b6 15.Dc4 Db7 16.Ff3 Cxe5 1-0(55) Patzer 3.80 -- Aice 0.99.2 ; 15.0-0 Cxe5 16.Dd4 Cbd7 0-1(32) Tornado 1.0 Mainz -- Aice 0.99.2 . 16.exd6 0-0 1-0(76) Muse 0.899b -- Aice 0.99.2 ; 1-0(60) Aristarch 4.50 -- SOS 5.1 . 11.Fxf6 gxf6 12.Cxc6 bxc6 13.Dd4 Tg8 14.0-0 d5 15.Rh1 Dc5 16.Dd3 Tg7 0-1(46) Terra 3.4 -- Twisted Logic 0.065e37 . 12.Fxf6 gxf6 13.0-0 d5 14.Rh1 Fc5 15.Tb3 Da5 16.Fh5 Ta7 =-=(29) Alfil 6.10 -- Diablo 0.5.1 ; 16...0-0 =-=(47) Alfil 6.10 -- Sjeng 12.13 ; 13...Tg8 14.Tf2 Dc5 15.Ca4 Da5 16.Cc3 Dc5 =-=(18) Alfil 6.10 -- Twisted Logic 0.065e37 ; 14.Tb3 Da5 15.Tfb1 d5 16.exd5 cxd5 =-=(136) Terra 3.4 -- Diablo 0.5.1 . 12.Tb3 Da5 13.Fxf6 gxf6 14.Dd4 Tg8 15.0-0 d5 16.Rh1 c5 1-0(54) Diablo 0.5.1 -- Sjeng 12.13 ; 14...Fe7 15.Dc4 Fd7 16.Db4 Dxb4 0-1(51) Diablo 0.5.1 -- Twisted Logic 0.065e37 . 12...Fe7 13.Dc4 Fd7 14.Tb3 Da5 15.Dd3 Dc5+ 16.Rh1 e5 1-0(55) Muse 0.899b -- Delphil 1.6c . 13.Rh1 Cxe4 14.Cxe4 Dxd3 15.Fxd3 dxe4 16.Fxe4 Fd7 1-0(37) Abrok 5.0 -- Twisted Logic 0.065e37 ; =-=(138) Abrok 5.0 -- Sjeng 12.13 ; 13...dxe4 14.Dd4 Cd5 15.Tb3 Dc5 16.Dxc5 Fxc5 =-=(78) Abrok 5.0 -- Diablo 0.5.1 . 13.Fxf6 gxf6 14.exd5 cxd5 15.Rh1 Dc5 16.f5 Fe7 0-1(52) Twisted Logic 0.065e37 -- Diablo 0.5.1 . 14.f5 Fc5+ 15.Rh1 0-0 16.Fxf6 gxf6 1-0(76) Twisted Logic 0.065e37 -- Sjeng 12.13 . 15.Tfb1 Fc5+ 16.Rh1 Fa7 1-0(29) Terra 3.4 -- Sjeng 12.13 . 16.f5 Fe7 0-1(32) Sjeng 12.13 -- Diablo 0.5.1 ; 16...Fd6 1-0(40) Sjeng 12.13 -- Twisted Logic 0.065e37 . 11.f5 e5 12.Cb3 Cc6 13.0-0 0-0 14.Fc1 Db4 15.Fe3 Da3 16.Fc1 =-= Aristarch 4.50 -- Ruffian 1.0.5 ; 11...Dc5 12.Fe3 Dc7 13.0-0 0-0 14.fxe6 fxe6 15.Dc4 Dd7 16.Db3 Rh8 1-0(38) Aristarch 4.50 -- Colossus 2006f . 11.e5 dxe5 12.fxe5 Cfd7 13.Ff4 Da5 14.0-0 g5 15.Cb3 Dc7 16.Fg3 Cxe5 0-1(72) Twisted Logic 0.065e37 -- Gaia 3.5 . 11...Cc6 12.Cxc6 bxc6 13.f5 exf5 14.exf5 0-0 15.Fxf6 Fxf6 16.Ce4 Fb2 =-=(104) Nejmet 3.07 -- Snitch 1.6.2 ; 13.Tfd1 d5 14.Fxf6 gxf6 15.Rh1 h5 16.exd5 exd5 1-0(59) Amyan 1.597 -- Snitch 1.6.2 . 11...h6 12.Fh4 Cbd7 13.Df3 g5 14.fxg5 hxg5 15.Fg3 Dc5 16.De3 b5 0-1(51) Sjeng 12.13 -- Gaia 3.5 . 12.e5 dxe5 13.fxe5 Dxe5 14.Ff4 Da5 15.Cb3 Db6+ 16.Rh1 0-0 0-1(83) Patzer 3.80 -- Anechka 0.08 . 12.Cb3 Dd8 13.e5 dxe5 14.Dxd8+ Fxd8 15.Cc5 Cfd7 16.Fxd8 Cxc5 1-0(36) Tornado 1.0 Mainz -- Patzer 3.80 . 12.Fh4 0-0 13.Ff2 b5 14.Ff3 Cfd7 15.Cb3 Dc7 16.e5 Cc6 =-=(156) Diablo 0.5.1 -- Gaia 3.5 . 16.Db3 d5 1-0(83) Muse 0.899b -- Anechka 0.08 . 15...Dc5 16.Fe3 b5 =-=(20) Muse 0.899b -- Patzer 3.80 . 12.Df3 Dc5 13.De3 0-0 14.Ca4 Da7 15.Cc3 b5 16.Tbd1 b4 1-0(72) Ktulu 4.2 -- Tao 5.6 ; 14...Da5 15.Cc3 h6 16.Fh4 Cg4 0-1(52) Ktulu 4.2 -- AnMon 5.60 ; 13...h6 14.Fh4 Cg4 15.Fxg4 Fxh4 16.Ca4 Da7 0-1(76) Abrok 5.0 -- Gaia 3.5 . 12.Rh1 Dc5 13.Tfd1 0-0 14.a4 Rh8 15.Cb3 Dc7 16.Dc4 Dxc4 0-1(58) Zappa 1.1 -- Colossus 2006f ; 13.Cb3 Dc7 14.Dd4 b5 15.Ff3 Tb8 16.Tfd1 0-0 =-=(186) SOS 5.1 -- Colossus 2006f ; 12...Da5 13.Tfd1 0-0 14.Dg3 Te8 15.a4 Dc7 16.Fh6 Ff8 1-0(44) Zappa 1.1 -- Ruffian 1.0.5 . 12.Fxf6 Fxf6 13.Cd5 Fxd4+ 14.Dxd4 exd5 15.Dxg7 Tf8 16.exd5 Dc5+ 0-1(32) Tornado 1.0 Mainz -- Hermann 1.9 ; 0-1(44) Tornado 1.0 Mainz -- Anechka 0.08 ; 0-1(37) Tornado 1.0 Mainz -- Arion 1.7 . 12.Fh4 Dc5 13.Ff2 Dc7 14.Ff3 0-0 15.De3 h6 16.Tfd1 Te8 =-=(44) Amyan 1.597 -- Booot 4.12.1 ; 12...Da5 13.Cb3 Dc7 14.g4 0-0 15.g5 Ce8 16.Cd4 h6 0-1(57) Amyan 1.597 -- Pepito v1.59 ; 12...Fd8 13.Cb3 0-0 14.Ff2 b5 15.g4 Fb7 16.g5 Ce8 =-=(80) SOS 5.1 -- Ruffian 1.0.5 . 12.Tfd1 h6 13.Fh4 b5 14.Ff3 Cc5 15.De3 Cg4 16.Fxg4 Fxh4 1-0(148) Ruffian 1.0.5 -- Colossus 2006f ; 12...Fd8 13.Cb3 h6 14.Fh4 0-0 15.Ff2 Ce8 16.Fe3 Fb6 0-1(55) Tao 5.6 -- AnMon 5.60 . 12.Tbd1 Dc5 13.e5 dxe5 14.fxe5 Dxe5 15.Ff4 Dc5 16.Tf2 0-0 0-1(39) Nejmet 3.07 -- Booot 4.12.1 ; 14...Cxe5 15.De3 Ced7 16.Ca4 Da5 0-1(34) Nejmet 3.07 -- Pepito v1.59 . 12.Cd5 Dxd3 13.Cc7+ Rd8 14.Cdxe6+ fxe6 15.Cxe6+ Re8 16.Fxd3 Rf7 0-1(52) Snitch 1.6.2 -- Pepito v1.59 ; =-=(33) Muse 0.899b -- Arion 1.7 . 12.f5 Cc5 13.Df3 e5 14.Cb3 0-0 15.Cd2 Da5 16.Cc4 Dd8 1-0(54) Sjeng 12.13 -- Terra 3.4 . 12.Dh3 Dc5 13.De3 h6 14.Ca4 Da7 15.Fxf6 Fxf6 16.Tfd1 g5 0-1(41) Alfil 6.10 -- Gaia 3.5 . 12...b5 13.e5 dxe5 14.fxe5 Cxe5 15.Cb3 Cg6 16.Ff3 Fd6 1-0(36) Patzer 3.80 -- Hermann 1.9 . 14.Fh4 Cg4 15.Fxg4 Fxh4 16.Ca4 Da5 0-1(48) Patzer 3.80 -- Arion 1.7 . 16.Cc3 g5 0-1(116) Terra 3.4 -- Gaia 3.5 . 11.Fxf6 gxf6 12.0-0 b5 13.f5 e5 14.Cb3 Fb7 15.Fh5 Tc8 16.Tfd1 Tg8 0-1(103) Ruffian 1.0.5 -- Zappa 1.1 ; 13...Ce5 14.De3 Dc5 15.Cd1 h5 16.fxe6 fxe6 0-1(60) Ruffian 1.0.5 -- Aristarch 4.50 ; 11...Cxf6 12.0-0 Fe7 13.Rh1 Da5 14.f5 e5 15.Cb3 Dc7 16.a4 Fd7 =-=(60) Ruffian 1.0.5 -- List 5.12 ; 14.Ff3 0-0 15.e5 dxe5 16.fxe5 Dxe5 0-1(37) Anechka 0.08 -- Hermann 1.9 . 11...e5 12.fxe5 dxe5 13.Cf5 Da5 14.Rh1 b5 15.Tfd1 h5 16.Cd5 Ta7 1-0(25) Muse 0.899b -- LittleThought 0.98 ; 15.Cd5 Fb7 16.Cxg7+ Fxg7 1-0(31) Patzer 3.80 -- LittleThought 0.98 ; 13.Cb3 h6 14.Fxf6 Cxf6 15.Cd5 Fd6 16.Dg3 Cxe4 1-0(43) Tornado 1.0 Mainz -- LittleThought 0.98 . 12.Fxf6 gxf6 13.Rh1 h5 14.Cb3 Dc7 15.f5 h4 16.fxe6 fxe6 1-0(57) Zappa 1.1 -- Aristarch 4.50 ; 13...b5 14.a4 bxa4 15.Cxa4 Dc7 16.Cc3 Fg7 =-=(30) Snitch 1.6.2 -- Arasan 9.5 . 12...Dc7 13.Fxf6 gxf6 14.Tf2 h5 15.f5 e5 16.Cb3 b5 0-1(46) SOS 5.1 -- Aristarch 4.50 . 13.Tf2 b5 14.Cc3 Cc5 15.De3 Fb7 16.e5 Cd5 0-1(45) Amyan 1.597 -- Arasan 9.5 . 16.Ff3 Fe7 =-=(58) Nejmet 3.07 -- Arasan 9.5 . 12.De3 Dc5 13.a3 h6 14.Fh4 e5 15.Cf5 Dxe3+ 16.Cxe3 Fb7 1-0(74) Alfil 6.10 -- Dragon 4.6 ; 13...Fb7 14.Ca4 Da7 15.Cc3 e5 16.Fxf6 Cxf6 =-=(38) Alfil 6.10 -- Abrok 5.0 ; 13.Fxf6 gxf6 14.Tfd1 Fh6 15.Rh1 Fb7 16.Dg3 Re7 1-0(31) Twisted Logic 0.065e37 -- Abrok 5.0 ; 13...Cxf6 14.e5 dxe5 15.fxe5 Cd7 16.Ff3 Tb8 =-=(81) Zappa 1.1 -- List 5.12 ; 13.Ff3 Fb7 14.Tb3 h6 15.Fh4 e5 16.Cf5 exf4 0-1(64) SOS 5.1 -- List 5.12 . 12.f5 e5 13.Cb3 Fb7 14.Fc1 Db4 15.Fd2 Tc8 16.De3 Fxe4 =-=(77) Sjeng 12.13 -- Abrok 5.0 . 12.e5 dxe5 13.fxe5 Cxe5 14.De3 Fe7 15.Dxe5 Dxc3 16.Ff3 Dc5 =-=(163) Ktulu 4.2 -- Little Goliath Evolution . 12.Tb3 Dc5 13.Rh1 b4 14.Cb1 a5 15.c3 Fa6 16.Df3 Fxe2 1-0(53) SOS 5.1 -- Zappa 1.1 . 12...e5 13.Cb3 Fe7 14.fxe5 dxe5 15.Fc1 Dd6 16.Dxd6 Fxd6 0-1(59) Terra 3.4 -- Dragon 4.6 ; 14.f5 Cc5 15.Cxc5 Dxc5+ 16.Fe3 Dc7 =-=(79) Sjeng 12.13 -- Dragon 4.6 ; 13.Cf5 Dc5+ 14.Rh1 h6 15.Fh4 Fb7 16.Ff2 Dc7 1-0(111) Diablo 0.5.1 -- Dragon 4.6 . 12...Cc5 13.De3 b4 14.e5 d5 15.exf6 Dxc3 16.Dxc3 bxc3 1-0(52) Aristarch 4.50 -- Zappa 1.1 . 13.Tb3 Dc5 14.Rh1 Tc8 15.Tfb1 Db6 16.De3 e5 0-1(50) Diablo 0.5.1 -- Abrok 5.0 . 14.Dxf3 Tc8 15.Ccxb5 Dxf3 16.Txf3 dxe5 0-1(46) Terra 3.4 -- Abrok 5.0 . 14...Fb7 15.Ccxb5 Dc5 16.Cc3 Fc6 1-0(55) Aristarch 4.50 -- List 5.12 . 16.Tb3 Da5 1-0(25) Tao 5.6 -- Little Goliath Evolution . 12.De3 0-0 13.Tfd1 h6 14.Fh4 Cg4 15.Fxg4 Fxh4 16.Cd5 Dxe3+ 0-1(44) Snitch 1.6.2 -- Amyan 1.597 ; 0-1(39) Snitch 1.6.2 -- Booot 4.12.1 ; 12...Dc5 13.a4 0-0 14.Cd1 h6 15.Fh4 Cg4 16.Fxg4 Fxh4 0-1(53) Snitch 1.6.2 -- Nejmet 3.07 ; 12...Cc5 13.e5 Cfe4 14.Fb5+ axb5 15.Cdxb5 Da5 16.Fxe7 Cxc3 =-=(34) Twisted Logic 0.065e37 -- Alfil 6.10 . 12.Fh4 b5 13.Tfd1 Cc5 14.Df3 b4 15.e5 Fb7 16.Ccb5 Fxf3 0-1(57) Diablo 0.5.1 -- Alfil 6.10 ; 12...Dc5 13.Ff2 Dc7 14.Ff3 0-0 15.De3 Cc5 16.e5 Cfd7 =-=(81) Amyan 1.597 -- Nejmet 3.07 ; 12...Da5 13.Fe1 Cc5 14.Dg3 0-0 15.e5 dxe5 16.fxe5 Dd8 =-=(52) Patzer 3.80 -- Delphil 1.6c . 12.Tbd1 h6 13.Fh4 b5 14.e5 dxe5 15.fxe5 Cxe5 16.Dg3 Ced7 1-0(92) Nejmet 3.07 -- Amyan 1.597 ; 12...b5 13.Ff3 Fb7 14.e5 dxe5 15.Fxb7 exd4 16.Fxa8 dxc3 0-1(58) Ktulu 4.2 -- Ufim 8.02 . 12.Df3 Dc5 13.De3 h6 14.Fh4 0-0 15.Ff2 Te8 16.Tfe1 e5 0-1(46) Twisted Logic 0.065e37 -- Terra 3.4 ; 13...0-0 14.Ca4 Da5 15.Cc3 h6 16.Fh4 Cg4 0-1(50) Ktulu 4.2 -- Yace Paderborn . 12.Cd5 Dxd3 13.Cc7+ Rd8 14.Cdxe6+ fxe6 15.Cxe6+ Re8 16.cxd3 Rf7 0-1(45) Terra 3.4 -- Alfil 6.10 ; 16.Fxd3 Rf7 0-1(43) Muse 0.899b -- Hermann 1.9 . 12.Fxf6 Fxf6 13.Cd5 Fxd4+ 14.Dxd4 exd5 15.Dxg7 Tf8 16.exd5 Dc5+ 1-0(55) Tornado 1.0 Mainz -- Queen 3.09 ; 16...Rd8 =-=(53) Tornado 1.0 Mainz -- Delphil 1.6c . 12.Dg3 Dc5 13.Tbd1 e5 14.fxe5 dxe5 15.Ca4 Db4 16.Cf5 Dxa4 1-0(34) Twisted Logic 0.065e37 -- Dragon 4.6 . 12.Rh1 Dc5 13.Cb3 Dc7 14.a4 b6 15.f5 exf5 16.Cd5 Cxd5 1-0(45) Abrok 5.0 -- Dragon 4.6 . 12...h6 13.Fh4 Dc5 14.Ff2 Dc7 15.De3 0-0 16.Ff3 Cc5 0-1(88) Tao 5.6 -- Yace Paderborn . 12...b5 13.Ff3 Tb8 14.e5 dxe5 15.Cc6 Dc5+ 16.Rh1 Tb6 1-0(34) Tao 5.6 -- Ufim 8.02 . 12...Dc5 13.Rh1 h6 14.Fh4 0-0 15.Ff3 Dc7 16.De3 Te8 0-1(43) Tao 5.6 -- Ktulu 4.2 . 13.Df3 h6 14.Fh4 e5 15.Cf5 Fxf5 16.exf5 Tc8 1-0(38) Sjeng 12.13 -- Alfil 6.10 . 16.Cxd5 Dxg3 1-0(24) Abrok 5.0 -- Alfil 6.10 . Seul Chispa 4.0.3 joue 8...Dc7 en lieu de la prise 8...Dxb2 avec les Noirs.